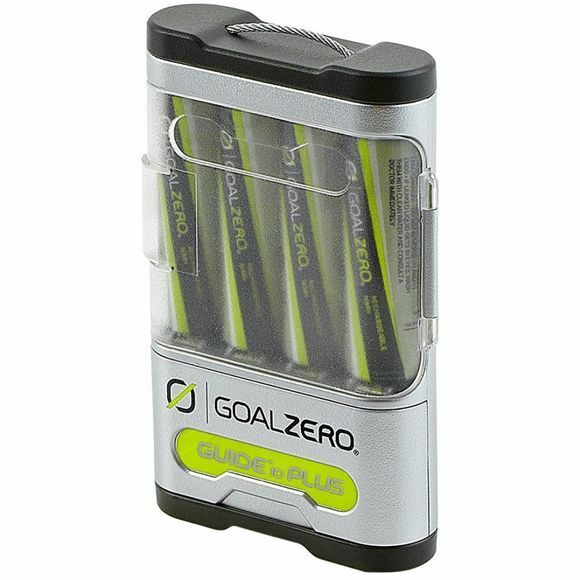 The Guide 10 Plus Solar Kit from Goal Zero has everything you need to be able to charge your devices anywhere. 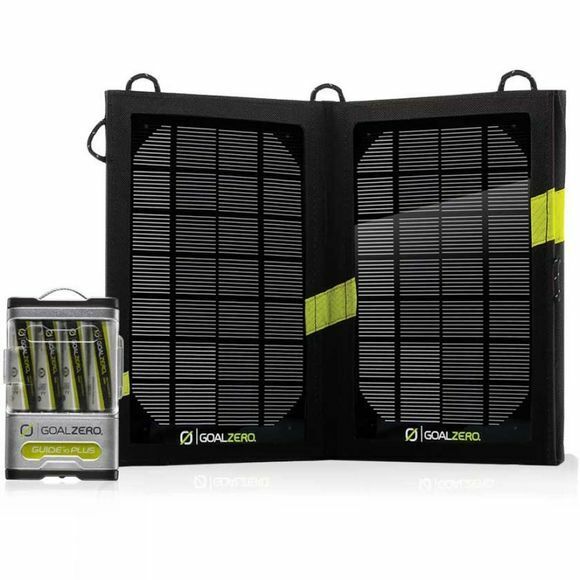 It includes the Guide 10 Plus Recharger and the Nomad 7 Solar Panel. Whether it is with the solar panel or from a USB port, charge any AA or AAA NiMH batteries (sold separately) then use the Guide 10 Plus Recharger to charge your phone, MP3 player, GPS or give your tablet it's much needed boost.